After reading work by Damon Galgut and JM Coetzee that deals with the 'new' South Africa, work which ranks near the very top of the contemporary fiction I have read since starting this blog, it is to Patrick Flanery's credit that his debut novel should hold its own against those two, especially as he doesn't have the advantage of being South African himself (Born and raised in America he has recently gained UK citizenship - making him eligible for the Booker...). Not only does Flanery dare to grapple with South Africa's sensitive politics but he also adopts a tricky and complex structure for his novel which some readers may struggle with at first but which is perfectly suited to a novel with themes around truth, buried secrets and the slowly emerging significance of the past. There are four strands to the story the first of which, under the chapters titled 'Sam', concerns an academic returning to his native South Africa to write the biography of Clare Wald, a successful writer with a complex personal and family history. Then we have the strand from which the novel takes its title, and which we later learn is a 'fictionalised memoir' written by Clare about a break-in at her house and its aftermath. Then comes a first-person narration about Clare's daughter, Laura, who has been missing for many years. And finally a flashback to 1989 told from Sam's point of view. Weaving these strands together Flanery does a good job at holding back information to keep even those readers who cannot help but puzzle-solve as they go through occupied until the final chapters. Her work is of interest in large part because she operated as a writer during the era of apartheid, an era dominated by censorship for those hoping to survive under the regime. Some were unable to adapt and opted to flee the country when the 'life of their work' or perhaps even their life itself was placed in 'mortal jeopardy.' Clare learned to adapt in order to keep herself and her family alive (at least that was the rationalization she applied at the time) and speaks of the closeness of her relationship with the authorities in unflinching terms - 'I came to know my molester as intimately as I knew my husband - perhaps more so.' What she makes clear is that the terror of censorship is in some ways enough on its own to wield power over the artist. How can any writer or other artist truly create with any sense of freedom when they know that whatever the make will be submitted for somebody else's approval. Every word is written with them in mind (Clare even personified her 'censor'), self-censorship a natural result of the system. This is just one of the ways in which we get a sense of Clare as a prisoner. She also feels like a prisoner in her own home (the one she now shares with her help, husband having left for another woman, daughter disappeared, son living elsewhere) with its high level of security, a feeling only intensified by the home-invasion chapters. But Clare has also exiled herself. It is as though nothing outside the walled perimeter matters to her anymore; it is only her memories, her ghosts and her need for forgiveness that preoccupy her now; it is as though these will be her only companions until death finally comes. There are two relationships at the centre of this, the first with her daughter Laura who, as I mentioned earlier, has gone missing. You are entirely within me now, voice echoing always, a million different voices, all you, borrowed from moments when I heard you as you wanted to be heard, moments you did not realize anyone was listening, perhaps in particular me. These are no substitute, they are all that I have, those million necromanced fragments of you, summoned around the pit of fire yawning between my ribs. Outside the house itself is her garden of course and this is worth mentioning because it picks up on something that Galgut used in his novel The Impostor. It could be seen as a possible metaphor for the new South Africa, or even the abilities of whites and blacks to co-exist at all but the cultivation and teasing of life from the soil and Clare's power struggle with her gardner Adam are just some of the ways in which horticultural references illuminate the politics of everyday conversation. It may only be a disagreement about whether to grow vegetables or not but it seems to be loaded with so much more. It's not a bad thing. It is merely different. You will see. And if you are right, then I shall see. But you must let me grow what I want, Adam, otherwise we will only come to grief....give them a chance. See if they will flourish. The metaphor is used again in describing the other significant relationship in Clare's past, that with her sister Nora who married into the the right wing of South African politics. This time it used to explain the twisted ethics of the ruling white class and the crucial difference between Clare and her sister. Nora's soil, the water she drank, the air she inhaled, it was all polluted. And while she and I grew up with the same conditions, more or less, I had a higher tolerance, natural immunities against the environment that tried so hard to twist our growth to its own malign purpose. But not Nora. She was always susceptible. She was weak. As we follow Sam, the once native boy returning to a country he barely recognises, we see through his eyes the dangers in every interaction and every waking moment. Even the shortest journeys must be undertaken only by car if at all possible, all houses and offices are encased in several layers of security, every visitor is treated with suspicion and kept at a distance no matter how innocent they may appear. There is also the burden of guilt that comes from being a white South African. His friend Greg tries to show him the ropes, how money must regularly leave his pocket and enter the hands of those less fortunate, and Sam's constant conversions from rands to dollars show how small the amount often is that he kvetches about. But as always with this novel it is the personal dimension that really engages and the most cathartic thing about his return is the way in which it forces him to confront the reasons why he left, the history of his own life that 'keeps coming back like a chronic illness', the secret he has kept hidden from even his own wife. We often talk of unearthing memories or those things we have kept hidden. Both Clare and Sam in their professional interviews know that there is something personal the two of them need to lift from the ground, 'the long tail of the root, clinging to its earth of history,' and the skill with which Flanery constructs the novel around those details makes this a rewardingly adult read, much like the similarly complex Great House by Nicole Krauss. That book found a place on my books of the year roundup last year and whilst it's too soon to say whether Flanery's will appear on this year's I can certainly confirm it deserves any attention it receives as part of the Waterstones 11 and heralds the arrival of another new writer to keep an eye on. 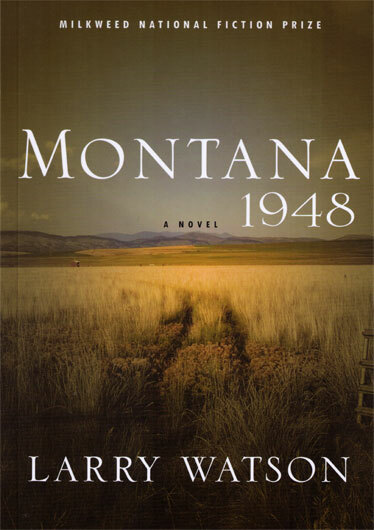 I became aware of a torrent of praise for this novel well before the end of year lists were published in papers, periodicals and magazines but the sheer regularity with which its title appeared again and again made it a must-read novel by the year's end. Acclaimed by many as a debut it is in fact Cole's second book after the novella-length debut Every Day Is For The Thief (published but seemingly unavailable from Cassava Republic). But whether it's his first, second or third book it remains a frighteningly accomplished piece of work particularly when you consider that it refuses to use many of the standard tropes of the novel like plot for example. The narrator, Julius, is a psychiatrist in the final year of his residency in New York. Having grown up in Nigeria we find him enduring a bit of a tough time in Manhattan; estranged from his German mother, recently dumped by his girlfriend, and struggling with the strict routine of his work. And so he walks in the evenings around the streets of New York, an 'aimless wandering' during which he ruminates on his past in Nigeria but far more often allows his intelligent and erudite mind to dwell on the present. He has conversations with random people he meets, much later in the novel he has a picnic with some friends, and he is mugged. That, apart from a short trip to Brussels, is all you get in terms of plot. And yet I can't remember enjoying the actual process of reading so much in quite some time. I enjoyed it so much that I spectacularly failed to make the usual notes and page markings that I would normally make in order to pull quotes and make observations. This is also partly due to the slightly hypnotic quality of the writing. Julius literally wanders from topic to topic, covering a dizzying array of subjects: art, music, politics, history, with an ease that surely hides some painstaking work as valuable as any conventional plotting in a novel and which results in a book that performs a labour of historical excavation whilst seeming to glide through the reader's mind with contradictory ease. 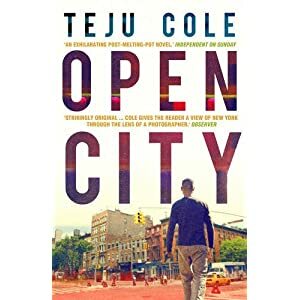 One feels like they are being taken on a tour of the city that ends up becoming a tour of Julius' mind and whilst he occasionally strays into smart alec territory or risks losing the less erudite amongst us (points finger at self) he remains on the whole a witty, charming and fascinating guide. All of which makes an event near the novel's conclusion all the more chilling. New York itself is drawn afresh, you will find no cliched shortcuts like steaming manhole covers here, Cole's eye as a photographer himself is keen for the focus-pulling detail. But Like Sebald, whose writing I was immediately reminded of, this is also a kind of psychogeography. This is a city where Julius can say he sits alone in 'the great cave of the theatre No, not alone exactly: in the company of a hundred others, but all strangers to me.' A place where the Carnegie Hall might have served as the backdrop to a scene or romance or revelation in another novel but whose fire escape serves as the location for one of the novel's standout scenes. Simply exiting through the wrong door leaves Julius balanced precariously, high up on the side of the building in the rain, the door locked behind him. He makes slow, perilous progress down the fire escape which appears to end before reaching the ground and it is with relief that he finds a door to lead him back into the concert hall. Before I entered the door, holding it open with relief and gratitude, it occurred to me to look straight up, and much to my surprise, there were stars. Stars! I hadn’t thought I would be able to see them, not with the light pollution perpetually wreathing the city, and not on a night on which it had been raining. But the rain had stopped while I was climbing down, and had washed the air clean. The miasma of Manhattan’s electric lights did not go very far up into the sky, and in the moonless night, the sky was like a roof shot through with light, and heaven itself shimmered. Wonderful stars, a distant cloud of fireflies: but I felt in my body what my eyes could not grasp, which was that the true nature was the persisting visual echo of something that was already in the past. In the unfathomable ages it took for light to cross such distances, the light source itself had in some cases been long extinguished, its dark remains stretched away from us at ever greater speeds. The place had become a metonym of its disaster: I remembered a tourist who once asked me how he could get to 9/11: not the site of the events of 9/11 but to 9/11 itself, the date petrified into broken stones. And what of Julius' suffering? What does he achieve with all his wandering and wondering? The novel itself almost follows a stream of consciousness but what does he learn from looking back? We experience life as a continuity, and only after it falls away, after it becomes the past, do we see its discontinuities. The past, if there is such a thing, is mostly empty space, great expanses of nothing, in which significant persons and events float. Nigeria was like that for me: mostly forgotten, except for those few things that I remembered with an outsize intensity. Perhaps Julius' need to walk isn't in order to achieve any great insight about his past. We never learn why exactly he is estranged from his mother, what really happened within his recently ended relationship, we still know next to nothing about any friends he might have until that picnic near the end of the book and it is after that that Moji, a woman he knew when she was just a girl back in Nigeria, delivers something of a bombshell to the book as a whole. Whether what she says is true or not we cannot help but notice how masked a view our guide may have given us after all. All that walking may not have been towards something after all but away from it. I don't want to make it sound too much like a twist, it is left open for us to decide whether it is true or not, and in fact it risks destabilising the whole book. I thought it added something really interesting but would have found the book quite brilliant without it. With it however, an already complex and absorbing read becomes something altogether more dangerous and we the reader have been complicit all the way. I love it when trusted bloggers get enthusiastic about books that may have been passed by and when a book is picked by not just one but two of them then my card details are usually just a click away. With its very title Larry Watson's short novel aims to evoke both a time and a place and it is one of those books that succeeds in doing just that; a short read that contains a vivid portrait of a part of America and a neat story that leaves the reader utterly satisfied from start to finish. It is also another piece of corroborating evidence in my case to prove that any novel of childhood is always improved by being narrated from the point of view of the child now grown up and looking back. You can have all of the unique insight with none of the irritating child narrative voice. So it is we hear from David Hayden who looks back forty years to the summer of his twelfth year, a time from which he carries 'a series of images more vivid and lasting than any others of my boyhood and indelible beyond all attempts the years make to erase or fade them.' These images are listed at the beginning just as they were in Julian Barnes' novel of memory, A Sense Of An Ending. A young Sioux woman lies on a bed in our house. She is feverish, delirious, and coughing so hard I am afraid she will die. My father kneels on the kitchen floor, begging my mother to help him. It’s a summer night and the room is brightly lit. Insects cluster around the light fixtures, and the pleading quality in my father’s voice reminds me of those insects — high-pitched, insistent, frantic. It is a sound I have never heard coming from him. My mother stands in our kitchen on a hot, windy day. The windows are open, and Mother's lace curtains blow into the room. Mother holds my father's Ithaca twelve-gauge shotgun, and since she is a small, slender woman, she has trouble finding the balance point of its heavy length. He offers them to us in chronological order whilst acknowledging that 'the events that produced these sights and sounds are so rapid and tumbled together that any chronological sequence seems wrong.' We should imagine instead 'a movie screen divided into boxes' or 'the Sioux picture calendars in which the whole year's events are painted on the same buffalo hide.' This last image is important, for David grew up in Bentrock, Mercer County, a town of less than two thousand people amongst which his family holds an elevated position: his father the sheriff (as his father was before him) and his uncle a doctor and respected war hero. There is also a Native American community, held by many (including David's father) to be second-class citizens. The Hayden family have a housekeeper from the reservation in neighbouring North Dakota, Marie Little Soldier, a statuesque woman young David is wonderfully in thrall to. When she becomes ill with a fever that might indicate pneumonia the family's natural reaction is to send for David's uncle, Dr Hayden. Marie however absolutely refuses to be seen by him and when David's father dismisses this concern as native superstition about modern medicine and calls him anyway he sets into motion the string of events that will send seismic shocks through the Hayden family and the larger community. As a portrait of small town life we can see the obvious things like the casual racism directed towards the Native American community, we learn once again that 'Power tends to corrupt, and absolute power corrupts absolutely' so that David's grandfather clearly abused his position as Sheriff (as the deputy points out, being a peace officer in Montana 'means knowing when to look and when to look away'), still exerts an unhealthy influence over the town, and that David's father still struggles to emerge from the family shadow. This is where the portrait gets really interesting of course because by focusing on the family, with its own politics and divisions, Watson can make some beautifully nuanced observations. What is it like to marry into a family like that for example and how strong are the different types of family bond when an event happens that threatens to break them all? Through David's narration we learn how the smallest things can make all the difference to how a story will pan out. A decision by him for example to eavesdrop on a conversation between his parents makes all the difference in the world. I don't want to tell you any more about the story, only to mention again the joy of an adult looking back on childhood. A child can express how frightening the sight of watching his mother load a shotgun is, 'but also oddly touching. She was so clumsy, so obviously unsuited for what she was doing that it reminded me of what she looked like when she once put on a baseball glove and tried to pay catch with me. I wanted to rush over to her, to help her, to relieve her of the awful duty she had taken up.' But only an adult looking back can realise how time passes differently from childhood to adulthood, how what we measure it by will alter, how soon it can speed up. Young people are supposed to be the impatient ones, but in most cases they can outwait their elders. The young are more practiced; time passes slower for them and they are constantly filling their hours, days, moths, and years with waiting - for birthdays, for Christmas, for Father to return, for summer to arrive, for graduation, for the rain to stop, for the minister to stop talking, for girls to stop saying, "Not now, not yet; wait." No, when it comes to patience, even the enforced variety, the young are the real masters. And one final quote, indulge me please: the child can sometimes sense when a conversation is important, even when it seems to be innocuous, but it often takes the adult to realise just where the importance lies. It also takes a writer of great skill and reserve to leave some room for the reader to make their own adult intuitions, to make their own connections. It is in this way, as much as its subject matter or brevity, that I was reminded of William Maxwell's masterpiece of a final novel, So Long, See You Tomorrow. Both books read and satisfy easily but also distill a lifetime's experience so that they become a much richer read. I heartily recommend both. "We're going to have to paint the house," he said. "But before we do, we're going to have to scrape it and sand it right down to the bare wood. Then prime it good before we paint it. And we might have to put two coats on." He picked off another paint chip. "It's going to be hard work. Think you're up to it?" . . . Then as if it really were houses and paint he wanted to talk about, he turned back to the wall. "Though if it was up to me, I'd probably just let it go. Let it go right down to bare wood. If I had my way I'd let every house in town go. Let the sun bake 'em and the north wind freeze 'em until there isn't a house in town with a spot of paint on it. You'd see this town from a distance and it would look like nothing but firewood and gray stone. And maybe you'd keep right on moving because it looked like nothing was living here. Paint. Fresh paint. That's how you find life and civilization. Women come and they want fresh paint." Where should one turn after giving up on a book? Is it best to try something completely different, and should it be different in terms of style, length or in some other way? After 300 pages of a Danish seafaring epic hadn't even brought me to the halfway stage and exhausted my interest I was left becalmed in a sea of possible books but it was this slim volume that arrived in the post that very morning and which ended up becoming my next read. This is because the theme adopted for Peirene Press's latest selection is The Series of the Small Epic. Does an epic novel have to have a page count that helps it double as a doorstop or can the same sense be achieved with something that can be read in an evening? Sahlberg's novella, translated from Finnish, contains just 122 pages but is described as a Shakespearean drama. What that means isn't immediately obvious (you'd think that the breadth of plays he wrote would make it difficult to make his name synonymous with any one style) but it certainly manages to cram in enough history, passion, envy and buried secrets for a drama on a much bigger scale. In 1809 Finland moved from under the control of the Swedish kingdom to become incorporated into the Russian Empire after war between those two countries. Two brothers, Henrik and Erik, fought on opposite sides and with peace now declared they return to the snow-covered farm where their mother still lives. Despite being the eldest brother Henrik was never interested in taking over the farm and so it was Erik that became the master and who married Anna. Why then has Henrik returned and what is he after? Sahlberg chooses to narrate the novel in the separate voices of each of the characters involved. Short sections from each distinctive voice prove to be an incredibly effective way of cramming in all the backstory and as this is a novella of revelations it also works very well as secrets begin to be revealed. There is clearly bad blood between these brothers but where does this conflict come from? It is the Farmhand who provides us with his own theory early on. It certainly has something to do with a horse, and also with a woman, but perhaps most of all with the way in which the two brothers are so different. The farm may be covered in snow but there is nothing bright and reflective about what we read. It often seems to be dark, with lamps or candles providing the only light; conversations happen in moments of stolen privacy and much of what we learn comes from people observing others. The sense of impending doom and the fear that underpins it is well expressed by Anna. A man's fear of a man must be different from a woman's. Probably it is colder, like water newly drawn from a well compared with water that has long been standing in a jug. Perhaps this is what is meant by Shakespearean. If this were a castle rather than a farm then the themes of power, succession and revenge would be every bit as Shakespearean as any of his histories or tragedies. The dark atmosphere and some of the language helps keep it that way which is just as well because with all the plot twists a less accomplished writer might have you expecting to hear the distinctive drums that come at the end of an episode of Eastenders. Something was famously rotten in the state of Denmark and that atmosphere pervades quite literally here in Finland as Henrik remarks on his return. This house is a cadaver. The others are too close to see it, but it has already begun to decompose. I flinch from its decay. It is as if a collection of bones had been unearthed and dressed up in fine clothing to create the illusion of a real body. It's is difficult to say much more without giving too much of the plot away but if you get the chance to sit down on a cold, dark evening and read the book in a single sitting as I did then it provides a perfect little (and yet epic) entertainment; very much the literary cinema that it claims to be. Think Bergman. And Shakespeare of course. I read and enjoyed Eaves' novel, Nothing To Be Afraid Of, many years ago and can remember very little about it other than it was set around a production of the Tempest in London and involved an earthquake. That's not his fault though, I'm a forgetful chap, so much so that it took me a while to realise why his name struck a chord when I got a copy of his latest novel in the post. The mention of Gerard Woodward in the bumf got my attention. The prospect of finding another novel that deals as brilliantly with family as Woodward's trilogy of novels about the Joneses (August, I'll Go To Bed At Noon and A Curious Earth) is a tantalising one. You have to be careful chasing those kind of thrills however, even Woodward didn't manage to hit the heights consistently with those three novels, and whilst there were moments when I thought this novel might ignite I'm afraid it never quite did for me. The Allden family live in a suburb of Bath. Don and Emily have four children: Liz, Clive, Lotte and Benjamin, each with their own distinct character although it is the unique Clive who really stands out, apple of his mother's eye despite his difficulties. That paragraph may well give you an idea of the dizzying effect of Eaves' structure. This is not a linear novel and even when it is it seems to jump about like the stylus on a warped vinyl record. We do follow the family as it grows and develops, see the children grow and mature, witness the strains and struggles for 'A family need witnesses to its adventures to make them real.' But we are also heading towards a future where Emily's mind has begun to deteriorate and the family reassemble around her dementia. I found the sheer number of characters disorientating in the opening third and I'm not sure I ever recovered. 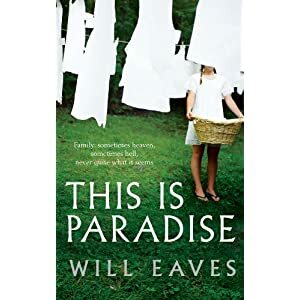 Perhaps this is because Eaves was drawing on figures from his own past (and making assumptions about what might be communicated with the scantest details), or because he wanted to mimic the effects of memory itself, but the results remain the same. Boyfriends and girlfriends, neighbours, affairs; maybe I wasn't paying close enough attention but there was so much going on and we seemed to drop in and out of it with such speed that this may be a book to be better appreciated on a second read. We only get one shot at life however and most books I read only get one shot at me. Amongst all that confusion however there were some sparkling moments. Clive as I said is an interesting character, gifted and unique, burdened with the hopes of not just his doting mother but his family as a whole who make sacrifices so that he may be accorded opportunities none of the others will enjoy. Whilst he grows up to become 'the captive of his promise and his disdain' he also has the insight when young to recognise just what family is, even at its most flawed. Each of them had failings. Not one saw those failings as Clive did - rationally, dispassionately, fairly. Whether as parents or sibling rivals, they were individually flawed; but together - like a scene of tribal earnestness, a fete or a fayre, glimpsed romantically from the deep cover of the hawthorn that straggled over the garage - they were good, an ideal almost; necessary, and at the same time vulnerable to change. Clive did not like to think about what would happen if they disappeared or moved. If a bomb dropped, or anyone left home. Don as the philandering patriarch has a fair burden of guilt to carry. He is the kind of man who manages a sort of gentle, insidious cruelty with affairs that are blithely accepted and a general demeanour that takes little account of anyone's thoughts but his own. ...Don's cruelty was no more than the perpetuation, in extremis, of a familiar trait. It was not even cruelty, come to that, which requires a degree of premeditation. It was simply that he could not bring himself wholly to believe in other people. It was a mystery to him that they should think differently about anything, or do anything he wouldn't want to do. When Emily reaches the stage where she requires real care Don might be said to atone for that past, accepting the burden without question and trying as best he can to care for her. The way in which her illness brings the scattered family back together again is as haphazard as the way in which they lived together. They all seem to find or see something different. Leaning in close, they found an image of themselves flickering in their mother's eyes and gathered what they could - a whispered word, a shiver - to its flame. The youngest of them, Benjamin, is the one who works hardest to make sense of their life together, desperately trying to bring some kind of unity from the chaos and draw some wisdom from within it. When he fails he realises the real lesson is that 'you shouldn't go looking for significance: it wasn't ahead or behind. If it was anywhere, it was by your side, an invisible companion.' And perhaps that's why I failed to do this novel justice. Reading with an eye towards drawing a conclusion at the end may well have blinded me to what was happening in the moment. Bakker's debut novel The Twin was one of my favourite reads from last year and also won the Impac Prize, the world's biggest literary award at €100,000 (I think I can guess which of those two accolades he was happiest about). It was a supreme example of what I have found in my limited experience to be a feature of Dutch writing. Prose that for the most part is as flat and uninflected as the landscape of that country so that telling words or phrases poke their heads up for the reader to notice and moments of great drama and tension seem to be waiting for their moment to jump up and grab the reader by the neck. Bakker may have chosen a different terrain and locale for his next novel but there is still something of that style about the writing, this time joined by a faintly hallucinatory feeling and the slight disjoint that comes from placing his heroine in a country where she is forced to communicate in her second language. A Dutch woman rents a remote farmhouse in rural Wales, paying upfront, and sets about adding some homely touches to a building which still carries the smell of the old woman who had been its previous owner and whose garden contains the ten geese that were once hers. She is on the run from something. Most obviously the scandal of her recent affair with a first year student but also from her work on the poet Emily Dickinson and from something else that she cannot escape, something within that is only hinted at to begin with. She simply packed her car with some clothes, a single mattress and a coffee table and made her way across on a ferry, driving on until she reached Wales. In thinking about the reasons for her flight she is reminded of one of her relatives of whom she was particularly fond. One day her uncle had walked into the pond, the pond in the large front garden of the hotel he worked at. The water refused to come up any higher than his hips...He must have judged the water to be deeper...Her being here had something to do with that uncle. At least, she had begun to suspect as much. Scarcely a day passed without her thinking of him, seeing him before her in the smooth water of the hotel pond. So far gone that he hardly realised that hip-deep water wasn't enough to drown in. Incapable of simply toppling over. All of the pockets of the clothes he was wearing stuffed with the heaviest objects he had been able to find in the hotel kitchen. Disoriented enough by her circumstances as well as where she has found herself, little oddities mark her stay. The number of geese slowly dwindles, presumably prey to a local fox; she is bitten by a badger whilst sunning herself nakedly on a rock, an event disbelieved by everyone she mentions it to, even the chain-smoking doctor who attends to her wound. Then a young man literally tumbles into her life and his overnight stay extends from one day into the next until he is cooking and gardening with her and a christmas tree is erected in the house. Meanwhile back in Holland her husband strikes up an odd friendship with a policeman during his attempts to trace his wife and the two men set sail on the same ferry line that brought her to the UK and they make their way (with the annoying assistance of their Dutch satnav) towards Wales. The peripheral characters remain sketches; the baffled husband, the comedic parents, the threatening neighbour, the loyal and doting young man; it is only the woman who really captures the reader's attention, partly because of that secret she is carrying. It is also because from the very beginning we sense that she is surrounded, by the men who define her life, by the unfamiliar flora and fauna of Wales, prey to the natural order around her. She is also an intensely physical presence and Bakker writes brilliantly about her body; its pains, needs, smells and sensations. When she first arrives into the solace of the farmhouse there is something almost feverish about her, either too hot or too cold, filled with memories and finding comfort with a hand between her legs. Although there were no neighbours, she kept seeing the dark, uncurtained window and herself lying there. Aroused woman alone fantasising about things long past, things she would be better off forgetting. That unspoilt body, lean and lithe, the powerful arse, the hollows behind the clavicles, the jutting pelvis. The selfishness, the energy and thoughtlessness...[she]thought about him sitting in front of her later, amongst the other students, one of many, with the face of a sulking child. A spiteful egotistical child, and as ruthless as children can be. 'Was this it, what Emily Dickinson had done for almost her entire adult life? Had she tried to hold back time, making it bearable and less lonely too perhaps, by capturing it in hundreds of poems? Like the poet she studies and is in the process of translating she is trying to hold back time, why else run away from home if not to avoid its realities? Having left 'Like an old cat that wants to be left in peace' the farmhouse offers something like a stay of execution both physically and emotionally but we always sense that time is running out. The 'vague but persistent sense of deterioration' isn't limited to just her body but her mind too and there is a small element of suspense as to whether her husband will arrive in time to make a difference or what role exactly her house guest will play. As with The Twin it is those notions and emotions which remain barely expressed that truly intrigue. 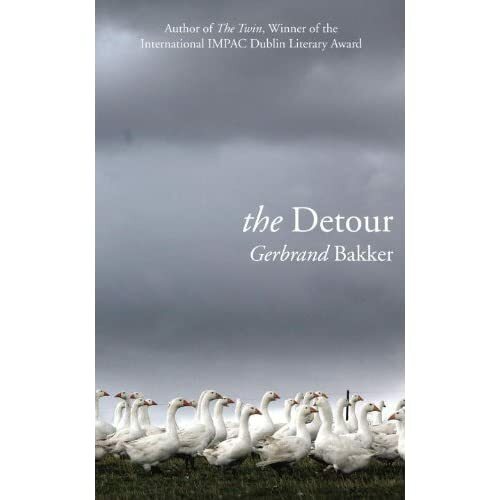 This novel doesn't quite deliver on its promise and is prone to repeat some its images thus robbing them of their power, but Bakker is a really interesting writer, finding power in repression and creating with great sensitivity a character we cannot help wanting to aid like an animal in peril. One of the problems in pinning a novel on the work of a poet as concise as Dickinson is that even someone as good at writing in spare prose as Bakker can only highlight, particularly to a non-poetry reader like me, just how few words are sometimes required to communicate an idea. Here then is the poem that the woman is translating throughout her stay and that might best encapsulate the novel's themes of solace, escape and peace.